We are now the most popular business VOIP providers on the planet and I am going to tell you why. Our service is 100% transparent with free test credit upon free sign up, we do not get you to sign a contract or ask for your credit card details. We are reliable and most importantly flexible and very easy to use and set up. All you have to do is add and remove our business services from our free easy to use control panel any time you do and do not want them. We have made it so easy to set up, you can even use your own broadband, which many other suppliers do not allow. Today we are going to run through how you can get started and how we are the cheapest option on the market right now by revealing our pricing structure to you. The two most important aspects when choosing business VOIP providers is the quality of the service and cost. Our service is second to none, our customer support team is available 24/7 online or on the phone and we cover all aspects of problems that may occur. So we have every measure in place to ensure you do not get a loss of service and to ensure the call quality remains high at all times. I will run through our pricing structure next, as you are going to find out, we are the cheapest option out there, yet the most reliable. It’s very rare to find the cheapest option to offer the best service too, but we do that. We even offer free test credit upon sign up because we are so confident you will stay with us and enjoy our service for your business. 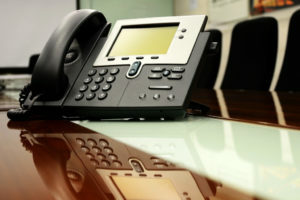 As you know, choosing to use VOIP over the regular land line phone system is going to save your business a lot of money. VOIP calls come have a fixed monthly price no matter how man calls you make each month. We are now going to run through what you need and how much it will cost you to run VOIP on your business. First of all you are going to require a SIP Channel. We do not charge a set up fee like some suppliers do. Our channels are just $24.95 per month, this allows unlimited calls for that fixed monthly fee. Our DID numbers (phone numbers) are only $1 per month, they have a $1 one time set up fee, which is very reasonable. That is all you need, so you full monthly cost to use our VOIP services will be $25.95. There is one additional one off set up cost for the port, which is $10. That’s all you need to get VOIP up and running for your business. We also have you cover for any other communication services you may require, all can be added in your dashboard with ease. We offer Business SMS and also a FAX to Email service, which is great for marketing and driving sales. Our costs per SMS is very low indeed, you will see a great return on your investment with those. If you want to use us as your business VOIP providers hit the button below to sign up.